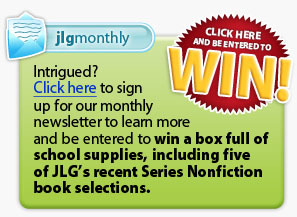 For the classroom, we have nine Series Nonfiction categories, all Common Core aligned, that will provide you with the best in history, science, social studies and how-to series books for grades K-8 each month. Choose the categories that best fit your needs, and we’ll ship you one high-quality book per month per category for 12 months. It’s reliable, easy and budget friendly.